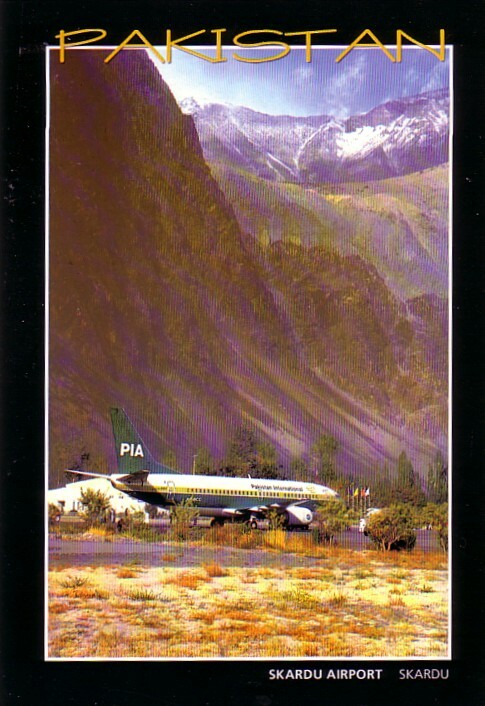 The featured cover card shows that, despite its death in most major airports, the airport postcard is alive and well in one of the more remote airports of the world. The publisher, in Karachi, may also possibly have realised that there were sales to be had internationally as well as the relatively few likely to be sold at Skardu in the Pakistani Himalayas. More mountain airports inside. Also featured this month, the B-17 Fortress, in another attempt to show that there are some interesting military cards around and the development of the Short “Sheds” SD330 & 360 from the earlier Miles Aerovan.